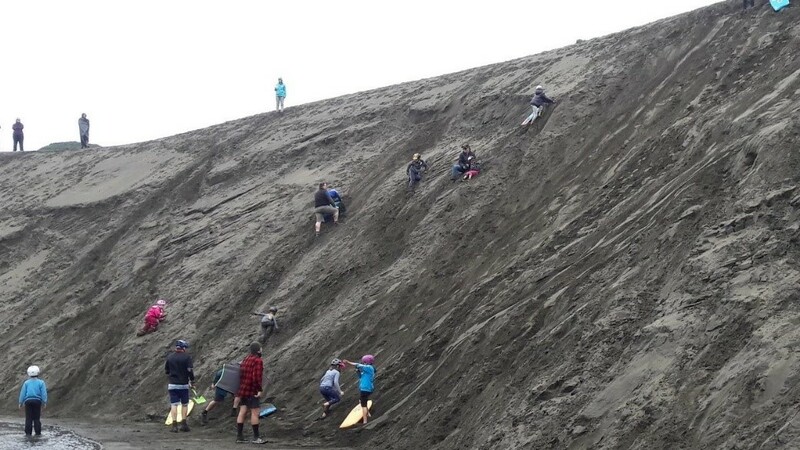 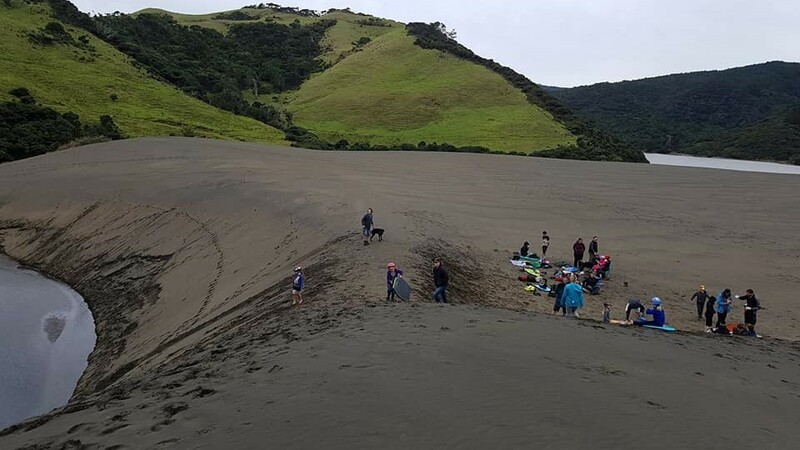 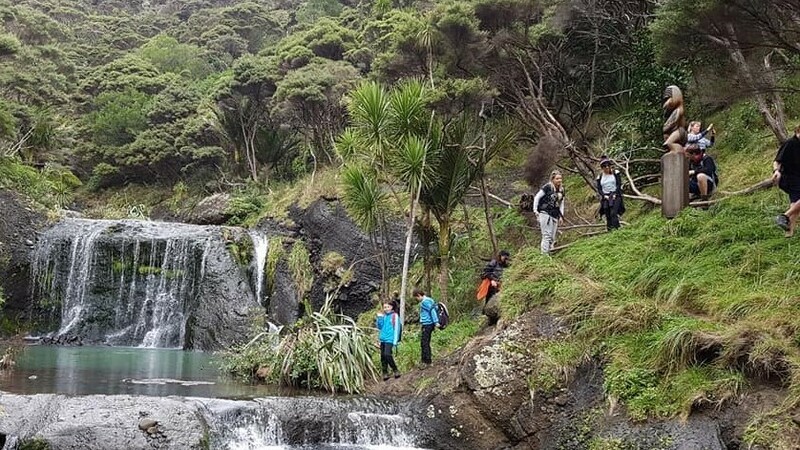 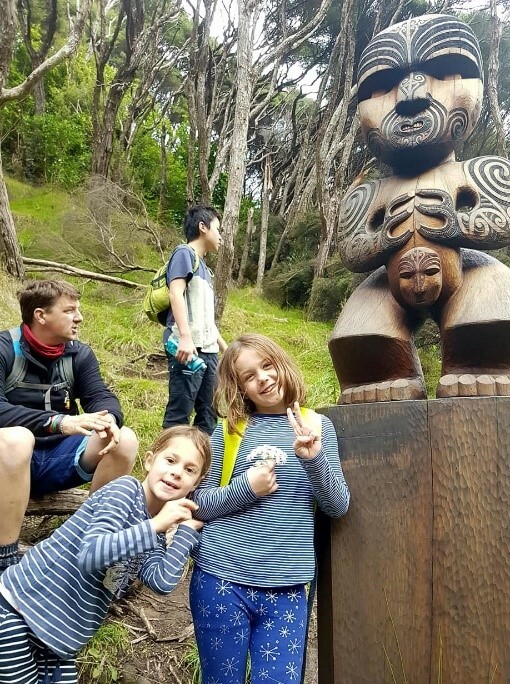 Our Scouts invited the Cubs for a walk around Lake Wainamu, near Bethels Beach. 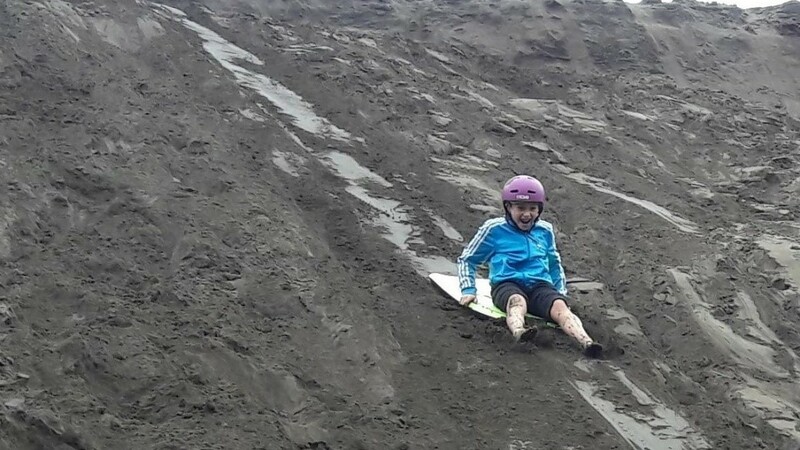 It was very muddy! Our Scouts BBQed some sausages for lunch, then we had a fun time sandboarding down the Giant Dunes. 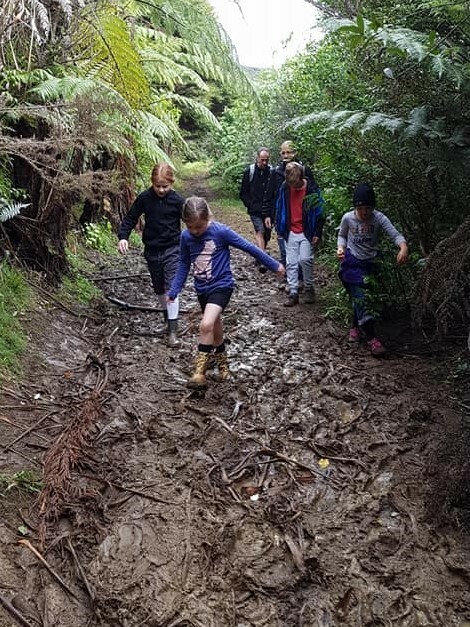 Everyone got filthy, but had a great time.